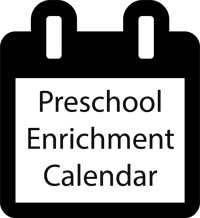 "We highly recommend the Kindergarten Enrichment classes at Hinsdale Community Preschool. Discovery Kids Kindergarten is active and engaging, and we loved that it supplements the D181 half-day curriculum in multiple subjects (social studies, science, language arts and math). My daughter retained so much of what she learned due to the play-based philosophy, fun art projects, and hands-on activities (especially cooking and experiments). She was so excited after the lessons on France that she came home and actually looked up additional information on the iPad! Thank you for creating such a nurturing and creative environment!" 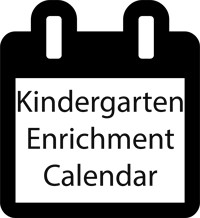 "HCP's kindergarten enrichment programs were FANTASTIC for my son during the 2013-2014 year. Classroom teachers, Ms. Sharleen & Ms. Michelle, were extremely talented in keeping the students engaged, interested, and EXCITED to learn through the BookWorms and Discovery Kids classes. 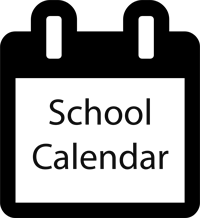 Daily lesson plans were given ahead of time in order to prepare students for the upcoming curriculum and allow parents to ask our children questions about the days' activities. The ease of drop off and carpool line pick-up made the transition from kindergarten a breeze. Our family is thrilled the have our second son join both programs during the 2014-2015 school year." "We found our experience with Hinsdale Community Preschool to be everything we imagined for our children! Our little girl Annie attended both AM and PM classes and made friendships that I believe will last a lifetime. The teachers and Director were nurturing, listened to our needs and Annie loved going to school everyday! Our son Brady was enrolled in Bookworms and Discovery Kids - both were the perfect addition to his Kindergarten curriculum. As parents, we found the community to be incredibly welcoming and feel that we have also created lifelong relationships with other families. HCP is everything a preschool should be - warm, inviting and educational. We feel our children have great roots and a love for learning, much thanks to HCP!" "We've been a part of HCP for the last 10 years and the experience for all four of our children has been truly outstanding. Every child is different. Yet HCP has consistently offered a nurturing, playful environment that has fostered their imagination to learn. Having done many news stories on the importance of early childhood education, I strongly believe that HCP delivers excellence in all the key areas of educating our young children." "Our children have enjoyed HCP immensely and have received an exemplar education and preparation for kindergarten. The co-op structure of HCP has also allowed my wife and I to participate in our kid's preschool experience. It has been a wonderful six years at HCP. The friendships our family has made will last a lifetime." "We were looking for a program that is nurturing and promotes independence. Also, the opportunity for parent involvement has been key. It sets a foundation for stronger relationships with your children. The overall approach of HCP has been right on target with our own philosophies regarding education. It will be to sad to close this chapter in our children's lives..."
"I wanted a school where my children would learn the fundamentals required to be successful in kindergarten in a way that is most appropriate for young children - through self directed learning. I wanted a school that my children would look forward to attending each day - a place they would be comfortable, have fun and be exposed to new people and experiences. I wanted a preschool where I could play an active role in the classroom. HCP was the only school I found that had all these attributes. Two of our three children have graduated from the program and are thriving in the Hinsdale school district. My youngest looks forward to every day at HCP and can't wait for my next parent helper day in the classroom. I highly recommend the school to anyone who wants to play an active role in their child's first school experience. The memories will last a lifetime." "The Hinsdale Community Preschool is one of the oldest and most respected parental controlled cooperatives in Illinois. Its students are prepared in an outstanding manner to excel in kindergarten and beyond. More importantly, it has allowed us to take an active role in our children's early education as well as interact with and get to know other families in our community." "In a community where you have many choices for quality early childhood education, one should seriously consider Hinsdale Community Preschool. I have been in their classroom for 2 years now and every teacher I have met is kind, loving and sets a wonderful example for their children. They encourage the values that our youngest children need to see modeled: empathy, kindness, forgiveness, perseverance while also teaching them the academic fundamentals that our preschool children need. They provide the right balance between child-directed learning within a structured environment which allows their children to blossom. I highly recommend HCP!"